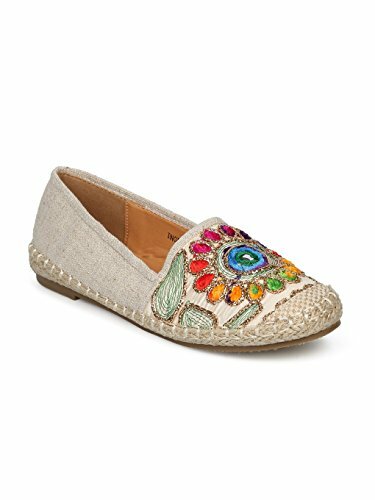 These hipster espadrilles are made with a linen upper, closed toe and embroidered details. Also made with a flat heel and easy to slip on design. WHY YOU NEED THESE: Going to school? What about a quick stop at the store? These flats are perfect for just about any occasion and can be dressed up or dressed down. They add just the perfect amount of feminine touch to some jean shorts or sundress! You'll want them in every color!